Yekwon Sunwoo showed up on Skype at the appointed time recently, or rather his voice did. He initially preferred not to appear on screen — 24 hours of travel from Poland to Aspen the day before had left him disheveled, he implied — but soon enough he came on camera, his thick black hair slightly tousled perhaps, but otherwise looking fresh and fit in a pair of Clark Kent glasses and a light cardigan sweater. Sunwoo is otherwise a superman. In June, he became the first Korean to win the Van Cliburn International Piano Competition in Fort Worth, doing it with a series of knucklebusters that included Rachmaninoff’s Second Sonata and Prokofiev’s Sixth, Ravel’s “La Valse” and, in the finals, Rachmaninoff’s Piano Concerto No. 3 (all of which can be seen and heard online at the competition’s website.) Since then, life has been a whirlwind for the 28-year-old musician. “It’s been hectic,” Sunwoo says. “Like right after winning, for about a week I had some meetings, and a photo session which went about four hours straight. Everything was happening kind of quickly and they already had concerts lined up. I had to decide everything pretty much all at once, in a short time. Sunwoo is hardly an overnight success. For the past decade he’s been studying with a series of almost legendary teachers at prestigious music schools, including Seymour Lipkin at the Curtis Institute, Robert McDonald at Juilliard and Richard Goode at the Mannes School. He’s currently studying, in Hannover, Germany, with Bernd Goetzke, who was the last student of the great Italian pianist Arturo Benedetti Michelangeli. 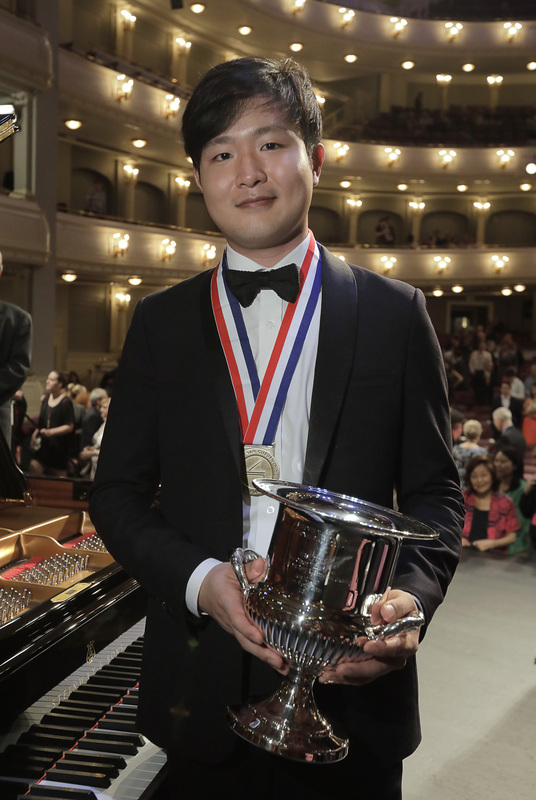 But Sunwoo also had an impressive array of performances under his belt prior to winning the Van Cliburn, and had claimed first prizes at the 2015 International German Piano Award in Frankfurt, the 2014 Vendome Prize held at the Verbier Festival, the 2013 Sendai International Music Competition, and the 2012 William Kapell International Piano Competition. Sunwoo currently lives in Munich. When asked if he’s married, he laughs, saying he still feels young yet. His concert calendar is now jammed at least through mid-2018, but he says he’s ready for it. One never knows what will become of competition winners. 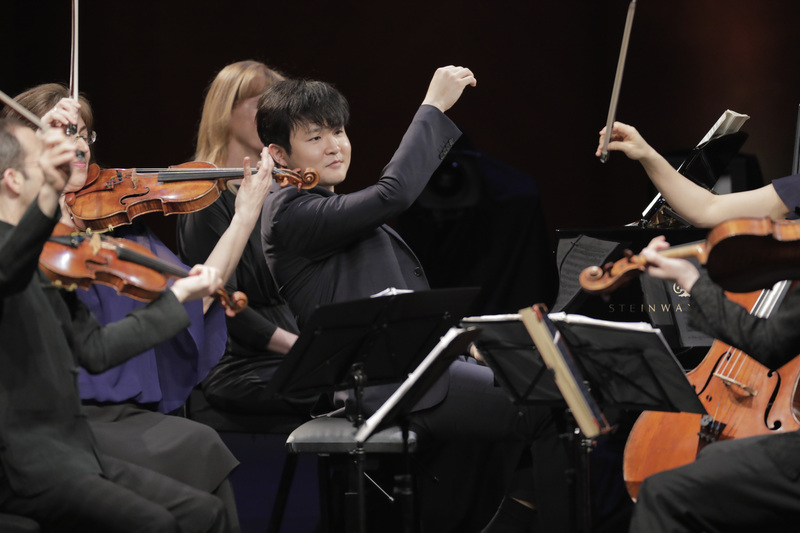 Sunwoo certainly has the chops, but he also seems to have an intelligent musical sensitivity as well, exhibited in his traversal of Mozart’s Piano Concerto No. 21 during the competition. He has a curiosity for repertoire, too, though as yet not much contemporary music in his catalog. Perhaps most important, in conversation he comes across as having his head on straight, without ego, friendly and thoughtful. His favorite pianists of the present: Murray Perahia, Radu Lupu, Kristian Zimerman and Marc-Andre Hamelin, the last of whom supplied a competition piece to the Van Cliburn that Sunwoo is considering adding to his recital programming. His favorite pianists of the past: Arthur Rubinstein, Vladimir Horowitz, Alfred Cortot. His mind is pretty clear on the next few years of his life. He describes his repertoire as “inclined towards German and Russian,” with Schubert and Rachmaninoff among his favorites. He’ll perform Rachmaninoff’s Piano Concerto No. 2 with Carl St.Clair and Pacific Symphony on Sept. 9 at the Pacific Amphitheatre (“Thanks for reminding me,” he jokes when I bring it up). Astonishingly, it’ll be his first performance of the work anywhere. He learned it previously, but never had an opportunity to play it with an orchestra. “So I’m looking forward to this,” he says. This entry was posted in classical music, feature and tagged concerto, Pacific Amphitheatre, Pacific Symphony, piano, Rachmaninoff by pacificsymphony. Bookmark the permalink. Good article, Tim, with a great note at the end.